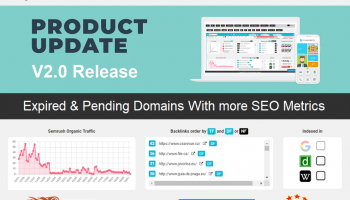 Find your Expired Domains With Great Metrics available now ! As the day thrives on, hundreds to thousands of domains are getting expired and being seized away by domain registrars for resale. Expired or expiring domains are very valuable; yet only a few pros and web masters know this. Professional SEO and Backlink building starts with expired domains. There are awesome tools that make the journey even shorter; our services are one of such, we make it easy for you to discover authoritative expired domains and TLD’s. In finding high ranking, authoritative and well-built back-link domains requires more time and efforts. A few are successful while some aren’t. Our platform simplifies the whole process; we search in-depth with quality tools like “Majestic, Moz, Ahrefs” and other intuitive tools that screens domains 100%. ...FIND WONDERFUL SEO OPPORTUNITIES ! There is no accurate method to screen a domain for quality and rank than thorough “MANUAL” check. Our service conducts a professional spam free checkup for every domain; thus helping us to find out select domains with plausible SEO Metrics, Unbroken links, and Anchor Links. 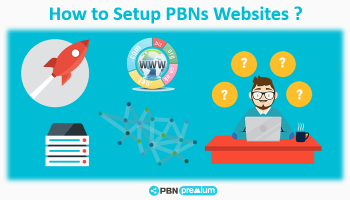 Take a look on PBN Premium Service Features ! All our clients are most appreciated and encouraged to rely on us even as we thrive together to success. Our outstanding customer remarks, reviews and recommendations have been our turning point – inspiring us into providing unmatched web-services to you beyond reasonable doubts. Through this platform I was inspired to acquire 15 expired domains. In few minutes my sites were up and running with fresh contents, then added to my private blog network. To my surprise, my money site popped out on Google page 3 on 4 main keywords. Just 6 weeks – amazing. The platform has been a thriving one since the past 6 months I’ve known it. First; setting up a PBN was a big challenge for me, secondly I never knew where to start from but knew I wanted to run a Private Blog Network. The services here made everything look like a dream and in just 3 days; I was a proud PBN owner. Creating a Private Blog Network only becomes a big challenge when you don’t have the right team of experts. My experience was similar. I struggled to make research and findings but yet failed woefully to Google Penalty. I found this platform through a friend who’s used it and behold – I am glad my Network is spinning money now. I already spent more than $3,000 on approximately 200 domains I bought for a big PBN project. I was about kick-starting the project when I stumbled upon this platform. Not until I came to realize that I’ve wasted my $3000 on newly registered domains rather than expired. They helped me by saving me from further wasteful spending. 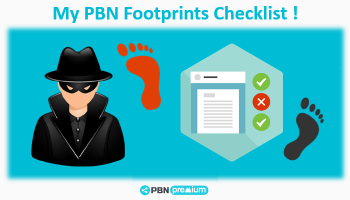 Using expired website and Private blog networks (PBN) is not just a SEO strategy. It’s a money making strategy !